I read somewhere that each item you take on the road needs a use beyond a single purpose – think Swiss Army Knife – and if an item in your kit does not get used every day it might not be worth bringing on the road. 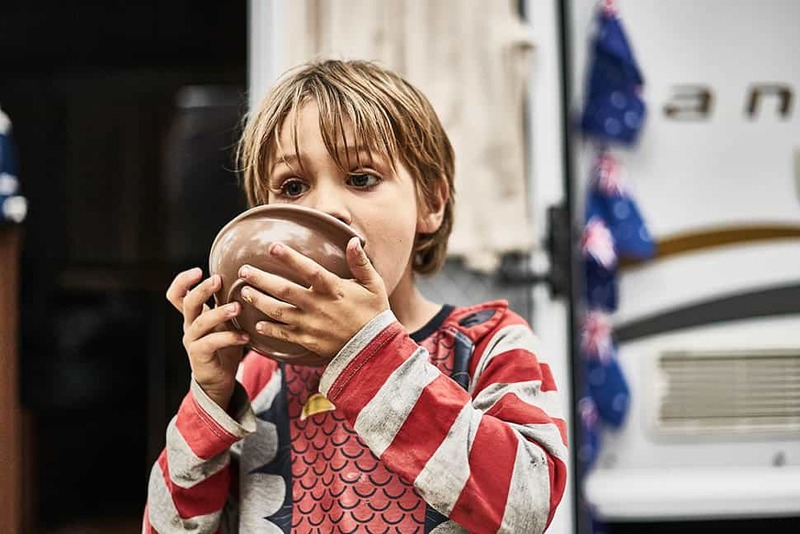 When travelling as a family in a caravan the limitations on space and weight close in around you very quickly, subsequently we have been shedding items along the way as we go (how many ways of making coffee do you really need?). 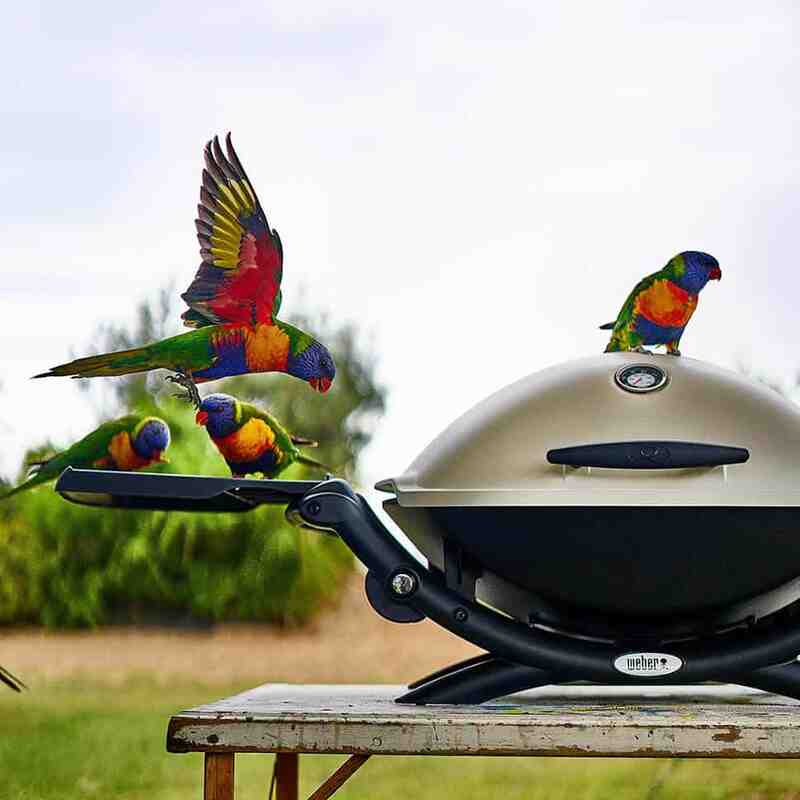 When it comes to preparing food, there is so much kit you can do with out – but we would not give up our Weber Q before all else. The innovative design allows you to cook in a bunch of different ways, my preferred method is with the lid closed as it improves flavour, lowers cooking time and saves money on gas (which will total a significant saving over 12 moths of every day use). 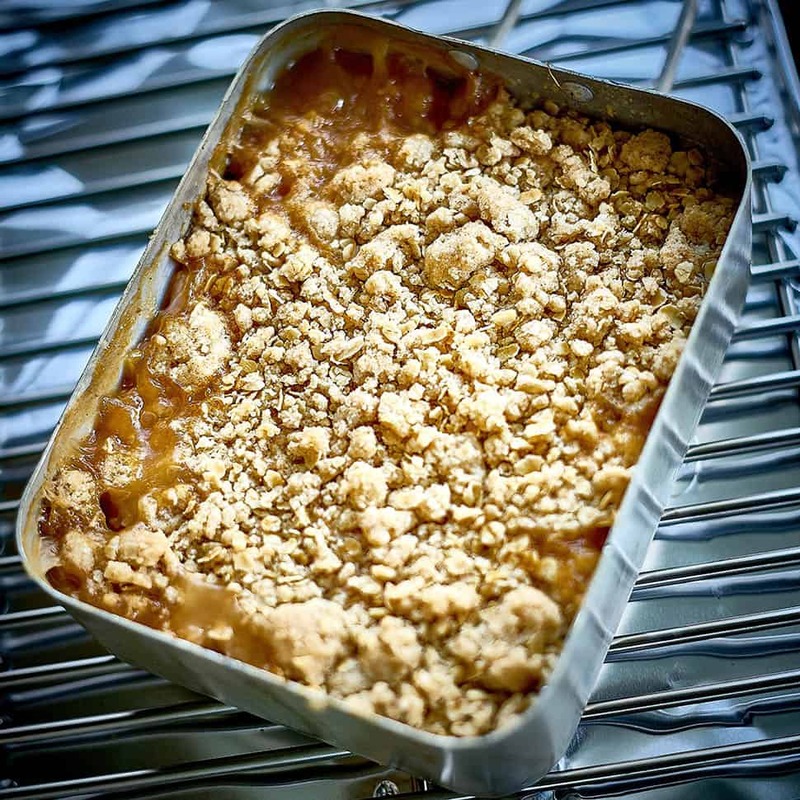 Baking in the Q is no different from in a conventional kitchen oven – with the use of a convection tray and trivet the Weber is transformed from cooking in barbecue mode to oven mode. 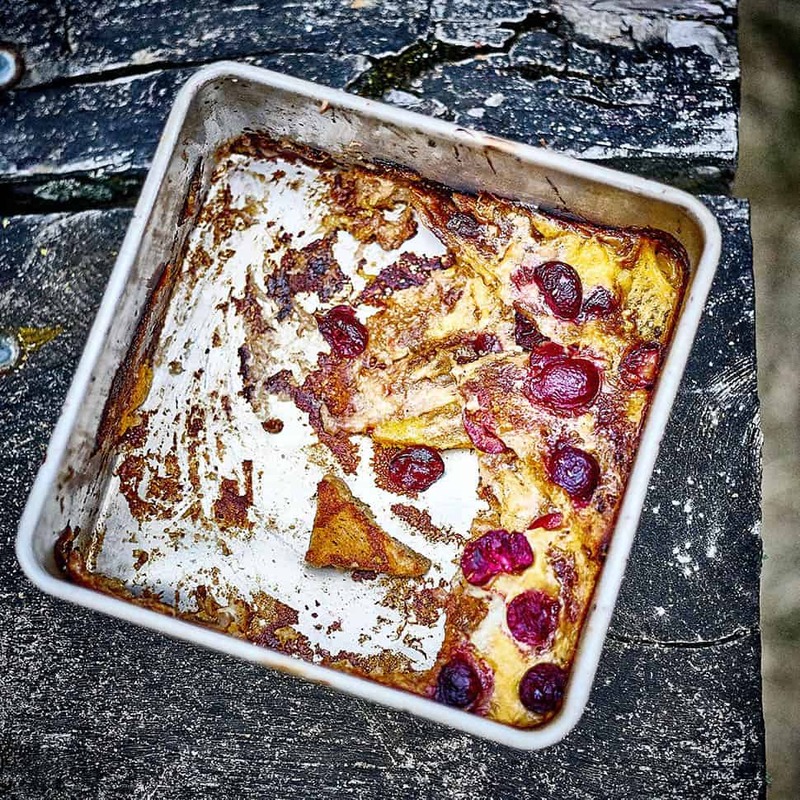 So far we have turned out a well textured garlic and rosemary focaccia, apricot crumble and delicious bread-and-butter pudding with left overs. We have also used the Q to make nachos and pizza. Fresh warm bread is probably the most wonderful of feel good foods that I can imagine, and I plan to bake a few different loaves on the bbq. 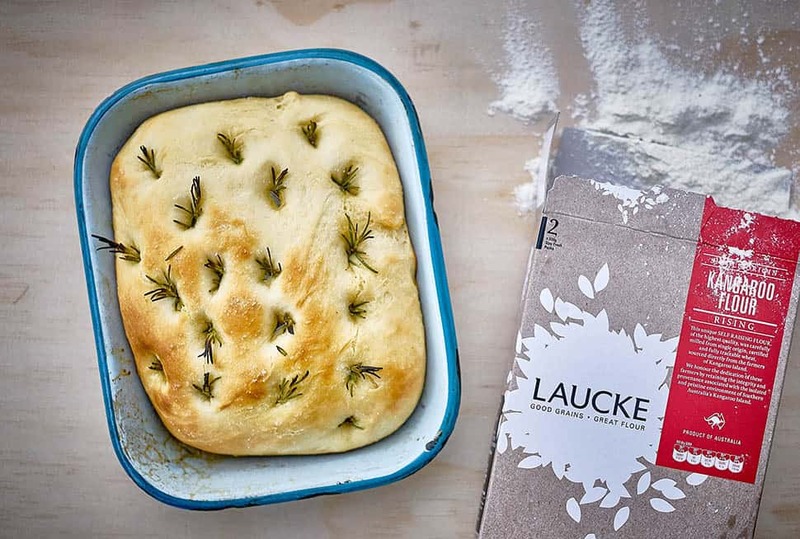 The first loaf was a simple Focaccia, made with Laukie Mils Kangaroo Flour, yeast, plenty of good olive oil and warm water. Seasoned with crushed garlic, rosemary and a little salt. Finding somewhere warm for the bread to prove was not a problem, the loaf turned out well with our neighbours in the adjoining site showing an interest in the incredible smell of our baking. Served with butter. We are trying to limit the food waste as much as possible on this trip, cooking everything we can rather than tossing it out. Sounds like common sense, but when we were in the UK our lives were so incredibly hectic we would not often know what was going on in the back of our cupboards. So here we are on a tight budget and with very little storage – all of the food counts. 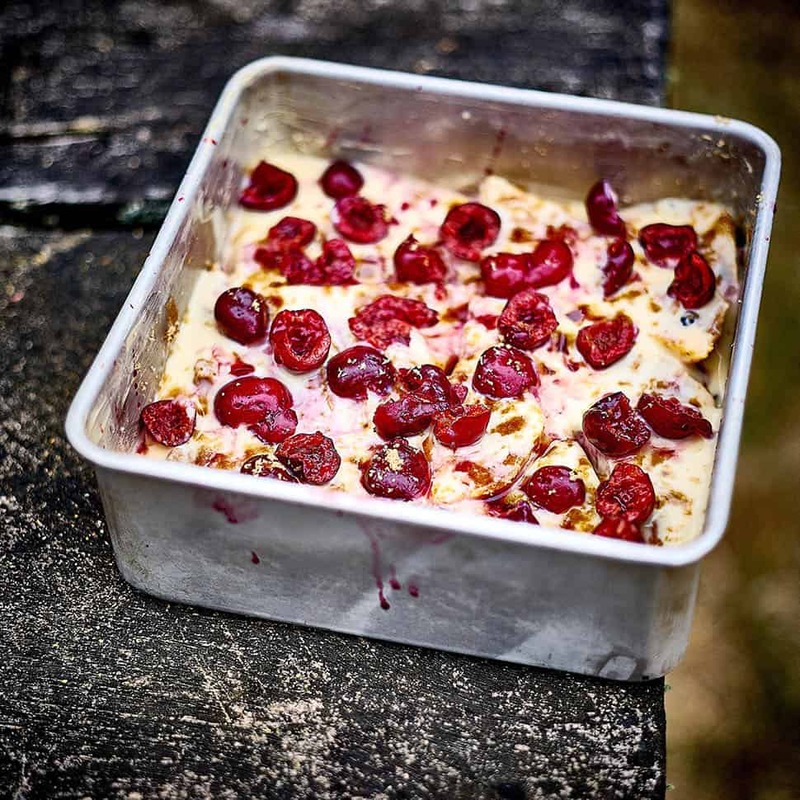 We saved up our stale bread and made a lovely bread-and-butter pudding with heaps of cinnamon and local Mornington Peninsular Cherries. 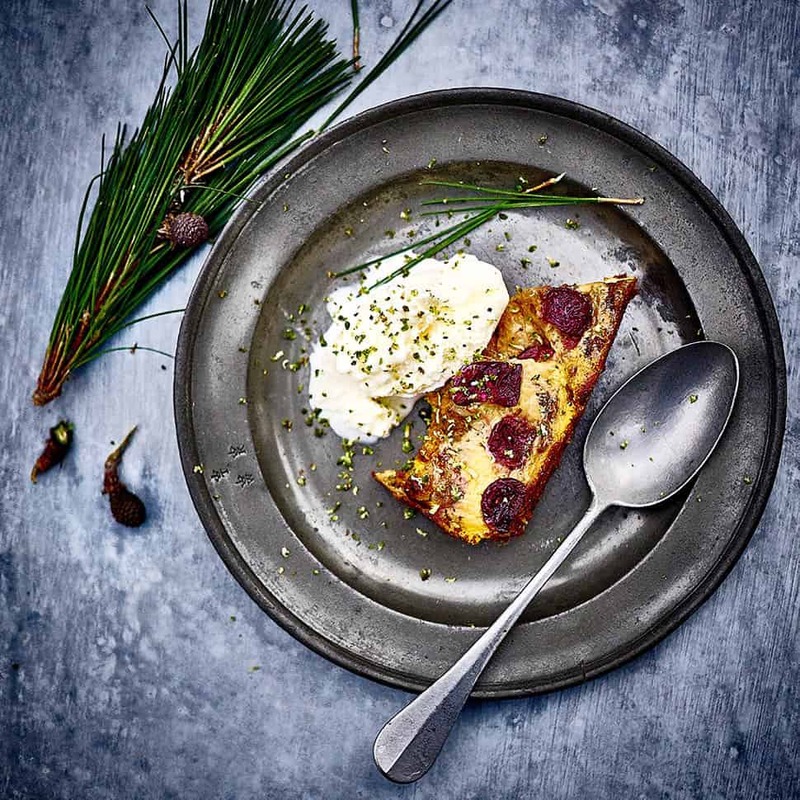 I had just been shooting with Adam Sanderson at 10 Minutes by Tractor who taught me a few tricks including adding grated pine cone to finish a dish. The flavour and smell is amazing, and transported me to my early childhood spent climbing far too high up pine trees, and the smell of the sticky sap you got on your hands. Served with custard. We dropped into the Adelaide Central Markets on our way through town and picked up some beautiful fresh apricots from the Adelaide Hills – a region that is burgeoning with vineyards and fresh produce. 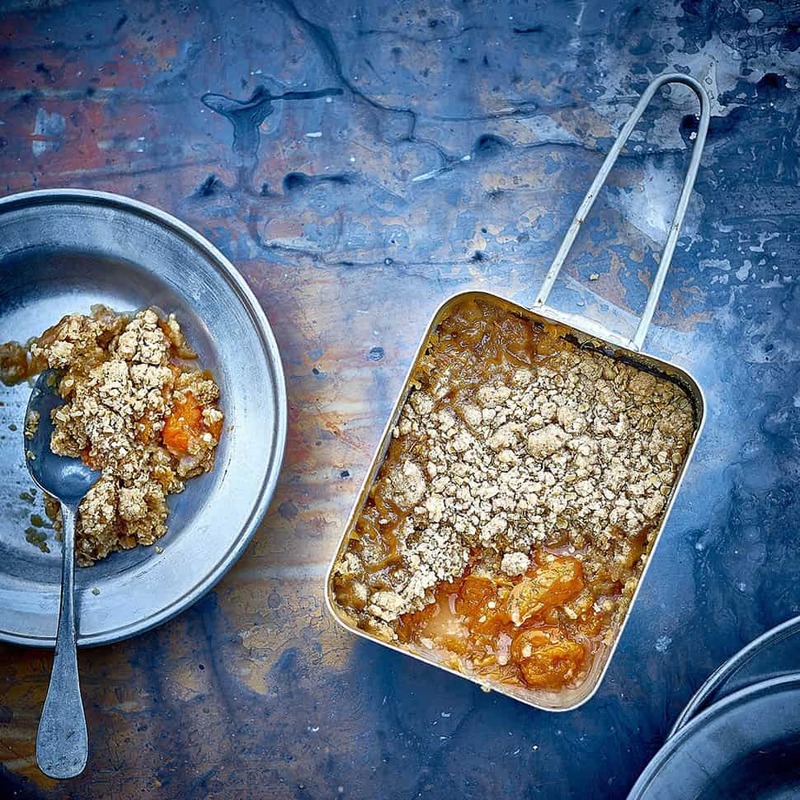 We made a delicious apricot crumble pudding by soaking the apricots in sherry and mallee honey for 24 hours. It was so good that the boys licked their plates clean as did I. Served with vanilla ice-cream.